The paper examines the direction, magnitude and dynamics of bullion and monetary flows in the Viceroyalty of New Granada (present-day Colombia and Ecuador), the largest gold producer of the Spanish empire, during the late colonial period. The paper interweaves notarial records and little-explored post office accounts to craft a preliminary, yet novel, monetary geography of the region. It identifies the cities and regions that agglomerated the flows of gold and silver in the form of bullion and coins. The paper pursues a mostly empirical goal. It seeks to provide materials and insights to further study the mechanics of bimetallism in the region. The article suggests that bullion markets had a broader scope across distant regions than previously thought. The paper, then, supports the claim of recent scholars who have studied the flow of consumer goods in showing that the Northern Andes were much more integrated. Therefore, it is necessary to abandon the present-day national borders framework to analyze the north Andean economies. Candidato doctoral de Georgetown University, USA. Andrien, K. (1995). The Kingdom of Quito, 1690-1830: The State and Regional Development. Cambridge: Cambridge University Press. Adelman, J. (2013). Wordly Philosopher. The Odyssey of Albert Hirschman. Princeton. Princeton University Press. Assadourian, C. (1979). La producción de la mercancía dinero en la formación del mercado interno colonial: el caso del espacio peruano en el siglo XVI. In E. Florescano (ed. ), Ensayos sobre el desarrollo económico de México y América Latina, 1500-1975 (pp. 223-292). México DF: FCE. Assadourian, C. (1982). El sistema de la economía colonial. El mercado, interior regiones y espacio económico. Lima, IEP. Bakewell, P. (1971). Silver Mining and Society in Colonial Mexico: Zacatecas, 1546-1700. Cambridge, Cambridge University Press. Bakewell, P. (1984). Mining in Colonial Spanish America. In L. Bethell (ed. ), The Cambridge History of Latin America. V. 2 Colonial Latin America (pp. 105-152). Cambridge: Cambridge University Press. Barona, G. (1995). La maldición de midas en una región del mundo colonial Popayán, 1730-1830. Cali: Universidad del Valle. Borchart, C. (1998). La Audiencia de Quito: aspectos económicos y sociales, siglos XVI-XVIII. Quito: Banco Central del Ecuador. Brading, D. (1971). Miners and Merchants in Bourbon Mexico 1763-1810. Cambridge: Cambridge University Press. Brading, D., & Cross. H. (1972). Colonial Silver Mining: Mexico and Peru. The Hispanic American Historical Review, 52(4), 545-579. Brugardt, M. (1990). The Economy of Colombia in the Late Colonial and Early National Periods. In J. Fisher & J. Kuethe (eds. ), Reform and Insurrection in Bourbon New Granada and Peru. Baton Rougue: Louisiana University Press. Carrara, A. (2007): Minas e Currais. Produção Rural e Mercado Interno de Minas Gerais. Juiz de Fora: UPFJ. Carrara, A. (2012). Minería, moneda y mercado interno en Brasil, siglo XVIII. Revista Complutense de Historia de América, 38, 33-53. Cerqueira-Lima, F. (2013). Bimetalismo, Ouro, Prata e Gresham: Uma Contribuição para o Estudo da Circulação de Moeda-Metálica no Brasil no Século XVIII. Estudos Economicos, 43(3), 595-616. Cerquira-Lima, F., and Martins, R. (2016). Production, Supply and Circulation of ‘National’ Gold Coins in Brazil, 1720-1807. América Latina en la Historia Económica, 24(1), 37-65. Clavijo, H. (2012). La economía de la ciudad y distrito de Neiva en el siglo XVIII. La importancia de una periferia en el subsistema colonial norandino. In B. Tovar (ed. ), Historia comprehensiva de Neiva. Neiva. Academia Huilense de Historia. Coatsworth, J. (1986). The Mexican mining industry in the Eighteenth Century. In N. Jacobsen & H. Puhle (eds. ), The Economies of Mexico and Peru during the Late Colonial Period, 1760-1810 (pp. 26-45). Berlin: Colloquium - Verlag. Colmenares, G. (1997a). Historia Económica y Social de Colombia: Popayán, una Sociedad Esclavista, 1680-1800. Bogotá: TM Editores. Colmenares, G. (1997b). Cali. Terratenientes, Mineros y Comerciantes. Siglo XVIII. Bogotá: TM Editores. Contreras, C. (1987). La crisis de la sierra central y norte del Ecuador en la segunda mitad del siglo XVIII. Revista Ecuatoriana de Historia Económica, 1, 17-40. Cross, H. (1983). South American Bullion Production and Export 1550-1750. In J. Richards (ed. ), Precious Metals in the Later Medieval and Early Modern Worlds (pp. 397-423). Durham, North Carolina Academic Press. Curtin, P. (1983). Africa and the Wider Monetary World, 1250-1850. In J. Richards (ed. ), Precious Metals in the Later Medieval and Early Modern Worlds (pp. 231-268). Durham, North Carolina Academic Press. Durán, J. (2012 ): Estado General de Todo el Virreinato de Santafé de Bogotá. Bogotá: Banco de la República. Dobado, R., & Marrero, G. (2014). El Mining-led Growth en el México Borbónico, el papel del estado y el coste económico de la Independencia. In B. Hausberger, and A. Ibarra (eds. ), Oro y plata en la economía moderna. De las minas a la moneda. Mexico DF: El Colegio de México. Fisher, J. (1990). The Effects of Comercio Libre on the Economies of New Granada and Peru: A Comparison. In J. Fisher and J. Kuethe (eds. ), Reform and Insurrection in Bourbon New Granada and Peru. Baton Rougue: Louisiana University Press. Flandreau, M. (2002). Water Seeks a Level”: Modeling Bimetallic Exchange Rates and the Bimetallic Band”, Journal of Money, Credit and Banking, 34(2), 491-519. Flandreau, M. (2003). The Glitter of Gold. France, Bimetallism and the Emergence of the International Gold Standard. Oxford: Oxford University Press. Flandreau, M. et al. (2009). Monetary Geography before the Industrial Revolution. Cambridge Journal of Regions, Economy and Society, 2, 149-171. Flores, E. (2014). Circulación y producción de oro en Nueva España. In B. Hausberger, and A. Ibarra (eds. ), Oro y plata en la economía moderna. De las minas a la moneda. Mexico DF: El Colegio de México. Flynn, D., & Giráldez, A. (2002). Cycles of Silver: Global Economic Unity through the Mid-Eighteenth Century. Journal of World History, 13(2), 391-427. Friedman, M. (1990). Bimetallism Revisited. Journal of Economic Perspectives, 4(4), 85-104. Garner, R. (1988). Long-Term Silver Mining Trends in Spanish America: A Comparative Analysis of Peru and Mexico. The American Historical Review, 93(4), 898-935. Gelman, J. (1987). El Gran Comerciante y el Sentido de la Circulación Monetaria en el Río de la Plata Colonial Tardío. 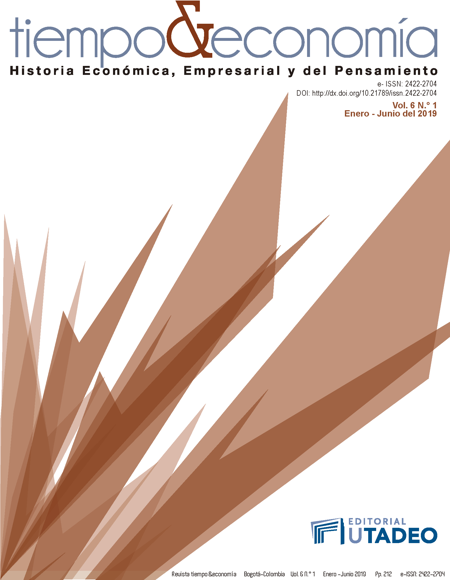 Revista de Historia Económica, 2(3), 485-505. Hausberger, B., & Ibarra, A. (eds.) (2014). Oro y plata en los inicios de la economía global: de las minas a la moneda. Mexico DF: Colegio de México. Hamerly, M. (1976). Historia Social y Económica de la Antigua Provincia de Guayaquil 1763-1842. Guayaquil: Archivo Histórico del Guayas. Hamilton, E. (1944). Monetary Problems in Spain and Spanish America 1751-1800. The Journal of Economic History, 4(1), 21-48. Ibarra, A. (1999a). El mercado no monetario de plata y la circulación interior de importaciones en la Nueva España. Hipótesis y cuantificación de un modelo regional: Guadalajara, 1802-1803. In M. Menegus (ed. ), Dos décadas de investigación en historia económica comparada en América Latina: Homenaje a Carlos Sempat Assadourian, Mexico DF: El Colegio de México. Ibarra, A. (1999b). Debate. Mercado colonial, plata y moneda en el siglo XVIII novohispano: comentarios para un diálogo con Ruggiero Romano. Historia Mexicana, 59(2), 279-308. Irigoin, A. (2009). Gresham on Horseback: The Monetary Roots Spanish American Political Fragmentation in the Nineteenth Century. Economic History Review, 62(3), 551-575. Jumar, F. (2004). El comercio Atlántico del Río de la Plata. El circuito legal español. Fuentes y Tratamiento. Amèrica Latina en la Historia Econòmica, 12(1), 11-35. Jumar, F. (2014). El espacio colonial peruano en la historiografía sobre circulación mercantil. Historia Económica & Historia de Empresas, 17, 475-534. Lane, K. (1996). Mining the Margins: Precious Metals Extraction and Forced Labor Regimes in the Audiencia of Quito. 1534-1821. PhD diss., University of Minnesota. Lane, K. (2004). Unlucky Strike: Gold and Labor in Zaruma, Ecuador, 1699-1820. Colonial Latin American Review, 13(1), 65-84. Marichal, C. (2007). Bankruptcy of Empire: Mexican Silver and the Wars between Spain, Britain and France, 1760-1810. Cambridge: Cambridge University Press. Mcfarlane, A. (1993). Colombia before Independence. Economy, Society and Politics under Bourbon Rule. Cambridge: Cambridge University Press. Meisel, A. (2002). Crecimiento através de los subsidios. Cartagena de Indias y el Situado 1751-1810. Cuadernos de Historia Económica, 9, 1-25. Miño, M. (2014). El cacao de Guayaquil en la Nueva España 1774-1812. Mexico DF: Instituto Mora. Muñoz, E., & J. Torres. (2013). La función de Santafé en los sistemas de intercambio de la Nueva Granada” Fronteras de la Historia, 18(1), 165-210. Nogues-Marco, P. (2011). The Microeconomics of Bullionism: Arbitrage, Smuggling and Silver. Outflows in Spain in the early 18th century. Working Papers in Economic History. Madrid: Universidad Carlos III. Nogues-Marco, P. (2013): “Competing Bimetallic Ratios: Amsterdam, London, and Bullion Arbitrage in Mid-Eighteenth Century”. The Journal of Economic History, 73(2), 445-476. Romano, R. (2004). Mecanismo y elementos del sistema económico colonial Americano siglos XVI-XVIII. México DF: Fondo de Cultura Económica. Redish, A. (2000). Bimetallism. An Economic and Historical analysis. Cambridge: Cambridge University Press. Digitally version 2006. Redish, A. (1984). Why was Specie Scarce in Colonial Economies? An Analysis of the Canadian Currency, 1796-1830. The Journal of Economic History, 44(3), 713-728. Sánchez, E. (2002). La Minería Novohispana a fines del periodo colonial. Una evaluación historiográfica. Estudios de Historia Novohispana, 27, 123-164. Sharp, W. (1976). Slavery on the Spanish Frontier. The Colombian Chocó, 1680-1810. Norman, Oklahoma University Press. Sillitoe, R. (2008). Major gold deposits and belts of the North and South American Cordillera: Distribution, Tectonomagmatic Settings, and Metallogenic Considerations. Economic Geology, 103, 663-687. Tandeter, E. (2005). The Mining Industry. In V. Thomas & J. Coatworth (eds. ), The Cambridge Economic History of Latin America I (pp. 315-365). Cambridge: Cambridge University Press. Tepaske, J. (2010). A New World of Gold and Silver. Leiden: Brill. Torres, J. (2012). El sector minero en Neiva y su provincia en el siglo XVIII. In B. Tovar (ed. ), Historia Comprehensiva de Neiva. Neiva: Academia Huilense de Historia. Torres, J. (2013a). Minería y Moneda en el Nuevo Reino: el Desempeño Económico de la Segunda Mitad del Siglo XVIII. Bogotá, Instituto Colombiano de Antropología e Historia. Torres, J. (2013b). Sencillos y piezas de a ocho. El problema de la moneda de baja denominación en el Nuevo Reino de Granada en la segunda mitad del siglo XVIII. Anuario Colombiano de Historia Social y de la Cultura, 40(1), 179-212. Torres, J. (2014). Monedas de antiguo y nuevo cuño: envilecimiento y reacuñación en el Nuevo Reino de Granada en la segunda mitad del siglo XVIII. Memoria y Sociedad, 18(36), 119-132. Torres, J. (2015). El comportamiento de los precios en una economía preindustrial. Popayán virreinato de la Nueva Granada 1706-1819. Cuadernos de Economía, 34(66), 629-680. Torres, J. (2018). Entre el oro y la plata. Quito, el suroccidente de la Nueva Granada y el movimiento de mercancías norandino a fines del siglo XVIII, Colonial Latin American Review 27(1)114-139. Tutino, J. (2011). Making a New World. Founding Capitalism in the Bajío and Spanish North America. Durham: Duke University Press. Twinam, A. (1982). Miners, Merchants and Farmers in Colonial Colombia. Austin, Unievrsity of Texas Press. Velde, F., & Weber, W. (2000). A Model of Bimetallism. Journal of Political Economy, 108(6), 1210-1340. West, R. (1951). The Mining Community in Northern New Spain: The Parral Mining District. Berkeley, University of California Press. West, R. (1952). Colonial Placer Mining in Colombia. Baton Rouge, University of Louisiana Press.